It seems that every tech company that has an intelligent personal assistant is also releasing a lineup of smart speakers. 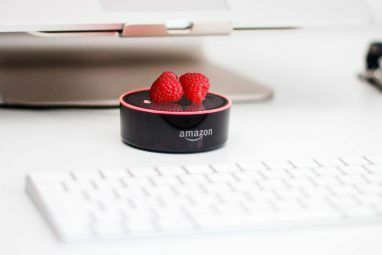 The trend began in 2014 when Amazon introduced the first-generation Echo, which uses Amazon Alexa. Two years later, Alphabet announced the Google Home powered by Google Assistant New Google Home Devices: Everything You Should Know New Google Home Devices: Everything You Should Know Google has big plans for its smart home products. Here's what we know so far about the Google Home Mini, Google Home Max, and Google Clips. Read More . Siri will also make a move before the end of 2017 when Apple launches the HomePod. Another large player in technology is also hoping to make a splash in the smart speaker market. In October 2017, Harman Kardon released the Invoke voice-activated speaker. 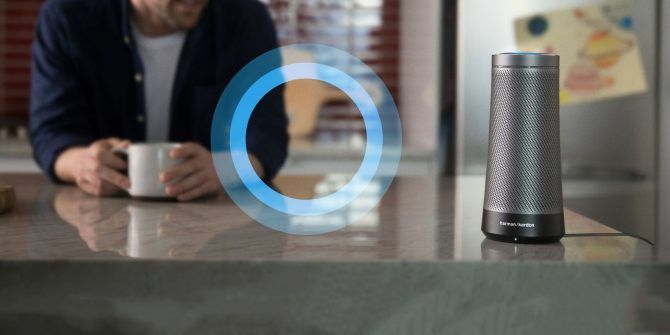 It’s the first wireless speaker of its kind powered by Microsoft Cortana. In this article, you’ll learn more about Invoke, including its features and compatibility. From there, you’ll have a better understanding of whether this smart speaker is right for you. As an Apple user, I had no problem setting up my Invoke using my iPhone and the free Cortana app for iOS. The Invoke is one of the most beautiful smart speakers to arrive on the market. It reminds me of a higher-quality first-generation Amazon Echo with an attractive speaker grille and chrome bevel that’s tapered at the bottom. Like most smart speakers on the market, the Invoke has been designed to work without physical contact. 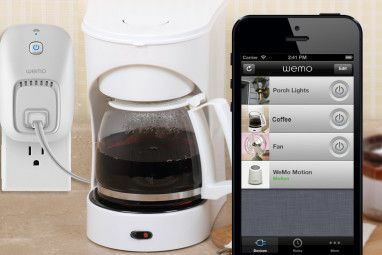 Instead, it strives to operate and communicate wirelessly. There are physical controls on the device, of course. On the top, you’ll find the speaker’s illuminated touch panel that pulsates blue and white whenever you use the device’s wake-up command, “Hey Cortana.” This circle turns red whenever you mute the speaker and white when you adjust the volume. The touch panel is also where you’ll find Invoke’s seven microphones (allowing it to hear from any direction) and volume control ring. As you turn the volume ring left and right, the touch panel light gets darker or brighter, depending on the turn’s direction. Near the bottom of the device, you’ll see a microphone on/off button, Bluetooth pairing light, and factory reset button. The Invoke power cable connects at the bottom through a hole on the side. Inside the Invoke are three woofers, three tweeters, and two passive radiators, to offer 360-degree sound. Being a Harman Kardon product, the Invoke’s main feature is its ability to play to music. Thanks to the built-in Microsoft Cortana, it can also manage schedules, set reminders, create lists, make and receive hands-free calls with Skype, and control other smart home devices. At launch, Invoke integrates with three music services: Spotify Premium, TuneIn, and iHeartRadio. A fourth, Pandora, will also be available soon. You can select or change your default music provider at any time using the Cortana app for iOS and Android. Beyond music, the Invoke also allows you to place hands-free Skype calls to and from mobile phones, landlines, and any Skype-enabled device Cortana Is Listening Into Your Skype Conversations Cortana Is Listening Into Your Skype Conversations Microsoft is adding Cortana to Skype, but to make use of the intelligent assistant you'll have to let her listen in on your conversations. Read More anywhere in the world. If you don’t already have a Skype account, one is provided at setup. From there, you can sync your Skype and phone contacts so you can make calls right away. The Invoke allows you to keep track and maintain your appointments as long as you use an Outlook.com calendar. You can add Office 365 and future schedules through Cortana’s Notebook feature either on Windows or iOS/Android. Once you provide Cortana access to your calendar How to Painlessly Schedule Calendar Meetings Using Cortana How to Painlessly Schedule Calendar Meetings Using Cortana Smart meeting schedulers have been helpful as they can look at your calendar and match it up with other participants. But now, there's a better solution using Microsoft's artificial intelligence. Read More , it can help manage and remind you of upcoming calendar events. Besides allowing you to keep track of your calendar, Cortana can help you keep track and maintain lists and reminders too. Cortana also integrates with the popular third-party Wunderlist application. You can even say “Hey Cortana” to set up timers and alarms. By definition, smart speakers typically play a role in a smart home environment, and the Invoke is no exception. At launch, the speaker is compatible with many smart home devices and services Finding the Best Smart Thermostat for Your Home Finding the Best Smart Thermostat for Your Home Looking for a good smart thermostat for your home? Keep in mind that some are smarter than others! Take a look -- one of these options may be your solution! Read More . Cortana works with lights, switches, outlets, and thermostats from significant providers including SmartThings, Philips Hue, Nest, Wink, and Insteon. 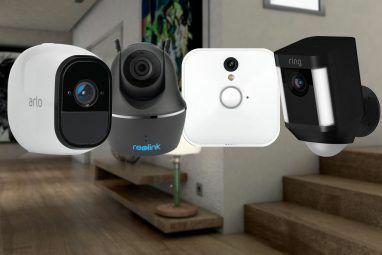 They are also working with additional providers such as Honeywell, Ecobee, TP-Link, Johnson Controls, IFTT, Geeni, Iris by Lowe’s, iDevices, and more. One of the reasons Amazon’s Echo products have maintained their popularity over the years has been the implementation of Alexa Skills 7 Creative Uses for Amazon Echo and Alexa 7 Creative Uses for Amazon Echo and Alexa You’ve seen the ads starring Alec Baldwin, but you're still not sure what Amazon Echo does or whether you need one in your home. We’re about to find out. Read More . With this SDK, third-party providers can integrate their tools and products with Amazon Alexa. For example, thanks to Alexa Skills, you can ask Alexa about today’s news from the Associated Press or last night’s scores from the NBA. Microsoft’s Cortana Skills 8 Cortana App Integrations You Have to Try 8 Cortana App Integrations You Have to Try Did you know Cortana can already cook your dinner, put the kids to bed, and wash your laundry? Okay, that's not entirely true, but the potential of Microsoft's personal assistant might surprise you. Read More work very similar to Alexa Skills and are available through the Invoke smart speaker. It’s here where the Invoke’s list of features is almost certainly going to grow over the coming years. The Harman Kardon Invoke, like other smart speakers, works best when its microphones are on. After all, without the microphones, you can say “Hey Cortana” until the end of the world, and nothing will happen. For more information, see the Cortana and my privacy FAQ. The Harman Kardon Invoke hopes to make a splash in the ever-growing smart speaker marketplace. At launch, it offers many of the same tools found on existing products, except in a more beautiful design. Inside, instead of finding Amazon Alexa or Google Assistant, the Invoke is powered by Microsoft Cortana. First announced in early 2017, the Harman Kardon Invoke is available in graphite (black) and pearl/silver (white). At launch, the speaker is only available in the United States. You can purchase an Invoke at Microsoft Stores (physical and online), Best Buy (physical and online), and online at HarmanKardon.com. Explore more about: Home Automation, Microsoft Cortana, Smart Speaker.